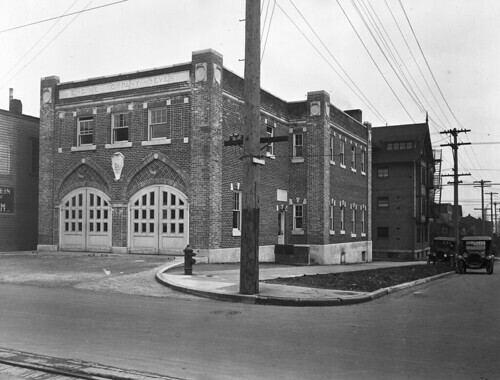 The Gables Cooperative Association is celebrating the 100th Anniversary of its building’s construction. 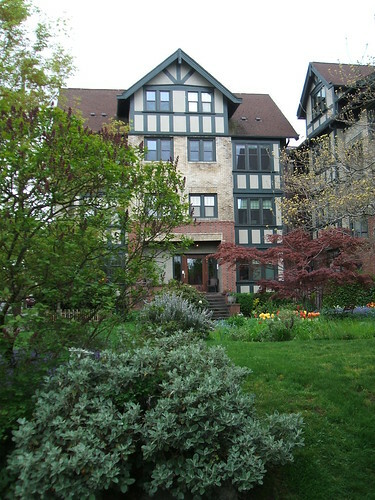 The Gables is engaged in an ongoing series of works to prepare this Capitol Hill landmark for a second century. The Gables has been a cooperative housing association for 60 years, since ownership in the building was sold to the tenants. 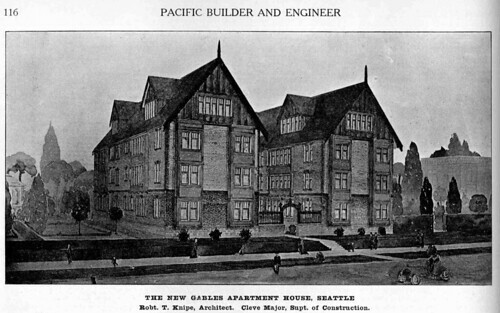 The architect’s visualization of the building from a September 9, 1911 article in Pacific Builder and Engineer is stimulating plans to restore the street appearance of the grounds. 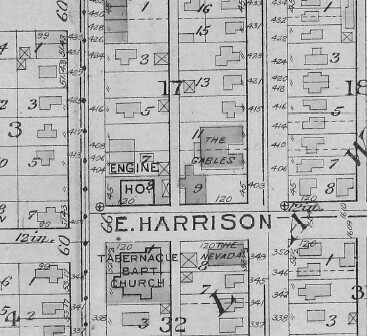 Those old directionals (16th Ave N) make more sense to me (you can still see them marked in the sidewalk nearby at 17th and Harrison). Agreed, the old directional names make much more sense! I’d love to hear the reasoning behind that ridiculous change! I’ve long admired this building. Happy birthday, Gables!